What do oil rigs and corkscrews have in common? Well, an oil drilling engineer by the name of Herbert Allen invented what many consider to be the finest corkscrew in the world. 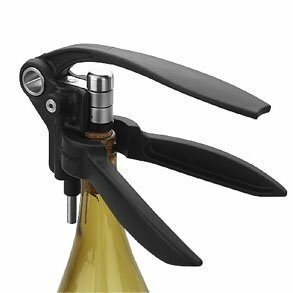 The result of a challenge by his wife who had just had an especially frustrating ordeal trying to open a bottle of wine, the Screwpull's patented Teflon coated helical screw bores easily through the cork while simultaneously lifting the cork from the bottle. Remarkably, even fragile crumbly corks are not damaged, thanks to the Teflon coating. If you have any questions about this product by Screwpull, contact us by completing and submitting the form below. If you are looking for a specif part number, please include it with your message.